In the new year I nearly always take on a bit of clothes shopping for myself. It is a chance for me to splash out and reset my wardrobe for the wintery couple of months ahead of us and it always feels like a new start when you're wearing a new outfit. ...Which is why I've had an awful lot of fun browsing the fashion website, Lyst, and creating a wishlist of my favourite winter dresses to get my through the cold spell. 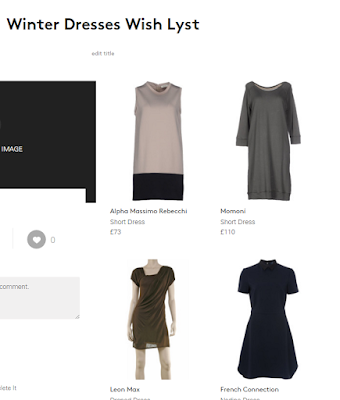 Lyst is a very clever website. It isn't just one store, and it isn't just one fashion brand. It is a place where fashion brands come together for your own personalised shopping experience. From the very moment you register, Lyst starts asking you questions about the styles and products you do like, and those you don't so that it can tailor its recommendations and inspiration to you. I put together this winter dresses wishlist (or should I say wish lyst?) as an ideas board so that I can look out for similar items on my travels but if you want to buy then Lyst can quite cleverly tell you who is selling the item, and what the best price is. On my list of wintery dresses you'll find long sleeved floaty dresses and shirt dresses such as this ribbed long-sleeved shirt-style Kickin It Dress from Free People. 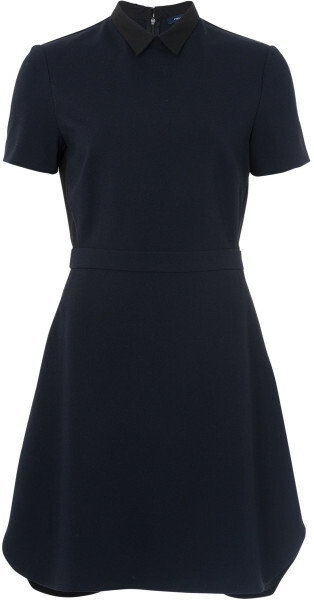 I like the dark navy and think it would pair well with sparkly jewellery. For me, I'm far more likely to pair this dress with a pair of thick black tights or black leggings but I like the fact I can wear it with boots if I'm feeling brave. I have a good few dresses on my wishlist which follow the same sort of theme - long, floaty and long-sleeved. I love the look of the grey sweatshirt fleece dress from Momoni but I think this one really would look best with boots and a bag. But winter dresses don't always have to be long-sleeved. This French Connection black Nadine dress is short sleeved and a short style but with a formal collar which gives it a smart look that I could wear to work, or out to a restaurant. At present, Lyst have found that it is on offer at John Lewis. 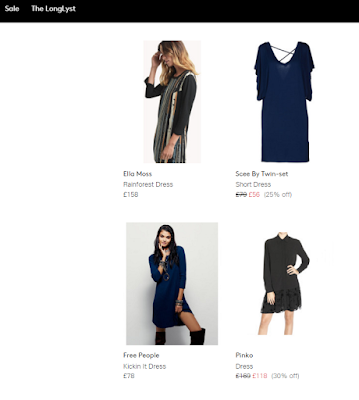 Take a look at my winter dresses wish list on Lyst and, if you find something that inspires you, why not make a lyst of your own. Disclosure: This is a sponsored post but that doesn't stop it being fun to read.